Jurgen Klopp will demand a response after the Leicester debacle and he normally gets one in the glamour games. Sutton, unlike Lincoln, have had some terrible results lately and Wenger will want his side to give someone a kicking. This is an ideal opportunity. Burnley will have a score to settle after Arsenal stole the points in October with a controversial 93rd minute winner. But even a repeat would win us this wager. Change of manager could precipitate a change in fortunes for a Swansea side that has suffered poor conversion %s. Lucas Perez averages 0.94 goals per90 this season and started in all three EFL Cup games. The Cherries beat Liverpool here last month and could benefit from the extra recovery day during the hectic festive phase. Arsenal are odds-on to beat Stoke at the Bet365 stadium but new Paddy Power customers can get an enhanced 25/1. 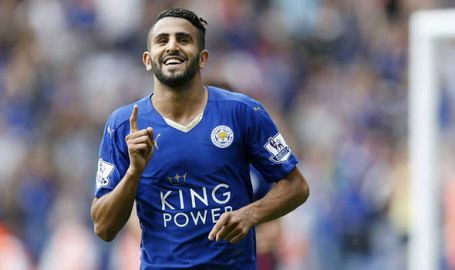 Bet365 are running a superb in-play free bet offer for the Atletico Madrid v Leicester game on Wednesday. Open to new & existing customers. West Brom showed it could (almost) be done and Palace should start moving up the table with Sam Allardyce in charge. 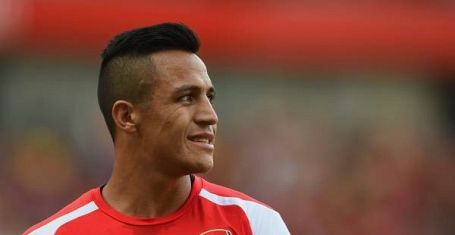 Arsenal aren’t in crisis but consecutive losses will have dented their confidence just as their conversion rates are due to cool. In terms of state adjusted shots, City hold the edge over Arsenal but their price is on the drift because of a few dubious results. Everton are unbeaten at home in the league and their performance against United suggests they could get at least a point again. Sunderland are going from bad to worse but fear not. New Coral customers can capitalise with Arsenal to win to nil enhanced to 40/1. Arsenal have won a corner in all 19 Premier League fixtures this season. New Coral customers can get 25/1 they win another against Bournemouth. Arsenal can't stop winning whilst Middlesbrough can't find the net. New Betfair Sportsbook customers can get 4/1 on an Arsenal home win. New Paddy Power can get an enhanced treble of 10/1 that favourites Chelsea, Everton & Arsenal all win their Saturday afternoon matches. Arsenal and Chelsea are both heavily odds-on to win this weekend but new Coral customers can get a win double of 10/1. New Coral customers can get an enhanced 6/1 that Arsenal beat rock-bottom Aston Villa at the Emirates. Three of the top four are in action this weekend and new Coral customers can get an enhanced 10/1 they all win. Hull are starting to cool after their good start to the season whilst Arsenal are finding their stride. 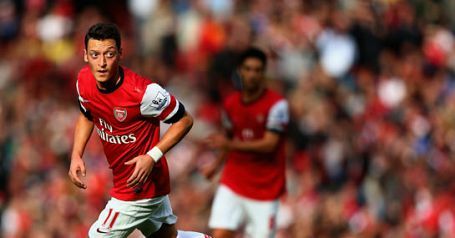 Get the Gunners at 5/1 to win with Betfair Sportsbook. Arsenal are a best price 10/11 to beat Everton at Goodison Park on Tuesday night but new Coral customers can get 40/1. New Betfair Sportsbook customers can get Arsenal at 6/1 to beat Olympiakos in their must-win Champions League encounter. New Paddy Power customers can get Barcelona, Bayern Munich & Arsenal all to win on Wednesday night at an enhanced 18/1. 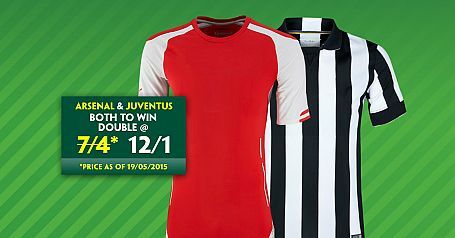 Open a new account with Paddy Power, place your first bet as a double on Arsenal & Juventus both to win and get enhanced odds of 12/1. Coral are offering new customers an enhanced 5/1 that Arsenal beat Sunderland in Wednesday's evening game. £5 max. Winnings paid in cash. Arsenal have won thier last four league games and new Betfair Sportsbook customers can get 5/1 that they beat Swansea on Saturday. New Coral customers can get an enhanced 8/1 that Arsenal and Liverpool both win their FA Cup 4th round ties. Winnings paid as cash. New Paddy Power customers can get Arsenal, Man City, Everton, Man Utd & Stoke all to win at 18/1 in the FA Cup on Saturday. New Betfair Sportsbook customers can get 3/1 Arsenal to beat Reading plus up to £100 in free bets. Arsenal meet Hull for the third successive season in the FA Cup and new Coral customers can get an enhanced 8/1 the Gunners win again.